Recent research has laid out some of the reasons why we need sleep, and all the functions the brain seems to perform while we’re sleeping. There’s more to figure out, but here are a few reasons why the brain needs sleep, and why things tend to go downhill without it. 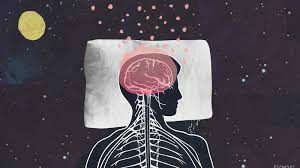 The space between brain cells expands significantly during sleep, which facilitates the clearing of the “gunk” through cerebrospinal fluid. And perhaps most astonishing is that much of this gunk is the β-amyloid protein, which is a precursor to the plaques in Alzheimer’s disease. These proteins and other toxins seem to accumulate during the day, and are cleared during sleep. Another incredibly strong reason to make sure we get enough.